Finishing second semester is not always a walk through the park. Essays pile up. Group presentations can be stressful. Finals keep you cooped up in the library for hours. It often feels like all you’re doing is working. But I’m here to tell you that it’s going to be okay. Take a deep breath. You can do it. I believe in you. And do you know what else believes in you? Movies. Movies can inspire us to get out of slumps and to combat adversity. When I need to unwind, sometimes I’ll see what’s on Netflix or go to my college’s library to check out a movie. So take a study break, make some popcorn, sit back, relax, and enjoy a movie. 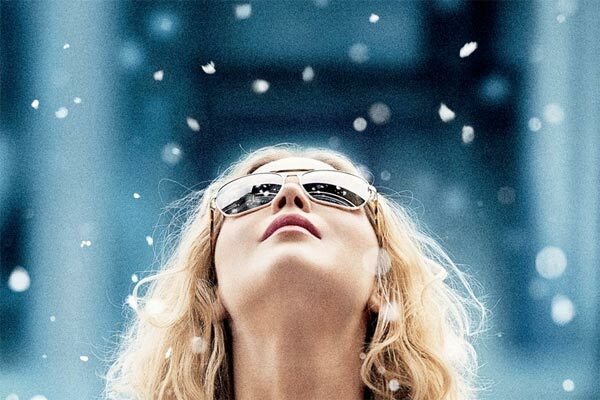 Joy (directed by David O’Russell). A woman fights to create a business of her invention, the Miracle Mop. At times, the fight to pursue her goal is a difficult, tedious, and heartbreaking battle. However, Joy doesn’t give up to let her dreams blow away. Belle (directed by Amma Asante). In this film, the protagonist is an aristocrat with a mixed racial background. She strives to own her identity and remain strong, in spite of society trying to push her in paths of inequality. After watching these movies, you’ll be inspired to pursue your goals or dreams, even if some voice says you can’t. Remember that you are in control of your destiny. You decide what your semester and college career will be like! The Perks of Being a Wallflower (directed by Stephen Chbosky). Charlie is a shy, lonely teen in high school, until he meets a group of friends that let him in. While the characters face tough predicaments such as depression and heartbreak, they emerge stronger and realize the “infinite” power of wild laughs, night rides with music, and amazing friendship. Juno (directed by Jason Reitman). When Juno MacGuff finds out she’s pregnant, she faces an alternative path: giving her unborn child to adoption. In addition to being super witty and laugh-out-loud funny, Juno also is big on friendship. The quirky relationship between Juno and Leah is intimate and caring, and the film does such a good job of making you feel included in their shenanigans. It proves that you don’t need 20 friends to have a good time. One or two will just do. These movies will give you that “feel good” sensation and a bunch of giggles, which can really help ease school-related stress. They also showcase the awesomeness of individuality and the pure delight of having supportive friends. Cherish your friends in college, and don’t be afraid to help each other out in hard times, even if it’s just completing the second semester. Where is My Friend’s Home? (directed by Abbas Kiarostami). In this classic Iranian film, a young boy, Ahmed, arduously searches for his classmate in order to return a workbook. He’s pointed in various directions by villagers, as his search extends into night. But Ahmed doesn’t give up. He sets a goal and works hard to achieve it, even if the path isn’t easy. Gravity (directed by Alfonso Cuarón). Astronauts become stranded in space, but they try with all their might to survive. This film definitely showcases the power of the human spirit. While finishing a term paper or studying for a history exam may not necessarily be taxing physical acts, finishing the semester can be taxing on the mind. Know that you have the tenacity inside of you to finish off the semester strong can make all the difference!